Gina is a truly special talent. She is a Designer, Stylist, Makeup Artist, Hairstylist and Groomer, a complete glam-squad, wrapped into one creative soul. She specializes in the music industry and has built long-term relationships with the most successful artists of our time. 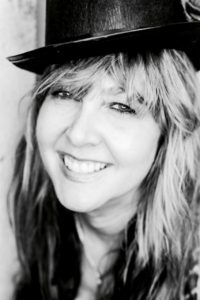 Her work includes hundreds of music videos and covers, live tours, red carpet events, and televised national appearances. Gina is acclaimed for her natural-look makeup and grooming, her cutting-edge styling, and her precision haircuts. Her wardrobe curation often includes custom-made pieces from her recently-launched accessory line, Gina Ketchum Designs. In the last year, these designs have graced the red-carpets of The Grammy Awards, The Billboard Music Awards and The Academy of Country Music Awards and have been featured in People Magazine’s Style Watch and a brand new exhibit in the Country Music Hall of Fame. Gina is always involved in the overall imaging and branding of her artists with both artist management and record labels, bringing her wealth of expertise to the team with a great deal of passion. Gina is represented by EXCLUSIVE ARTISTS AGENCY for bookings: agents@eamgmt.com. Gina has styled hundreds of music videos. A full list is available upon request.